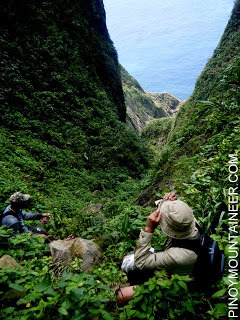 In October 2009, I was invited by the Batanes Mountaineers to do an exploration of Dinem (Di’nem) Island in Itbayat, the northermost municipality of the Philippines. 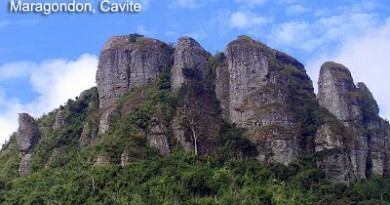 This island is a prominent feature in the open seas of the Luzon Strait, and can be seen as a giant rock jutting out of the northern view from Batan island – and most tourists would have seen it from the “Marlboro Country” or elsewhere. 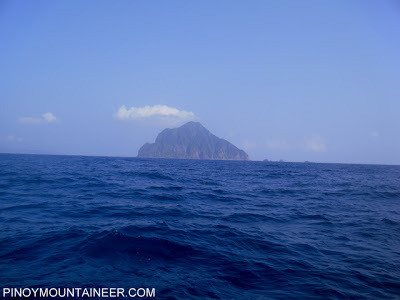 Ever since I saw this strange mountain-island in 2008, I really wanted to visit it, so I gladly accepted the invitation. This itinerary is a product of that exploration. Dinem Island is uninhabited, visited only by fishermen and occasional hunters of coconut crabs, called tatus. 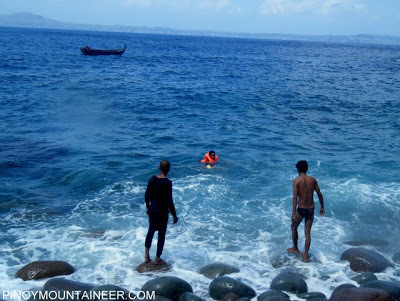 As such, there is no public transport getting there and a chartered boat must be arranged to negotiate the distance of 18 nautical miles from the port of Basco, Batanes, to the “jumpoff”, William’s point, located northwest of the island. In our case, we took the boat early in morning. 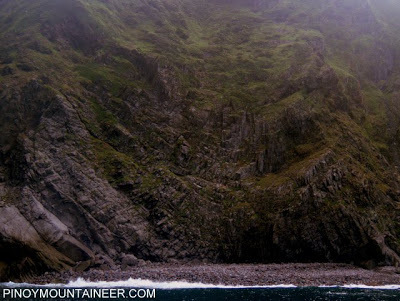 As we approached the island, its presence grew more and more intimidating, and when we got closer, I marveled at its primeval structure, with pristine rock formations and a jungle that seemed foreign to humankind. Indeed, I felt as if we were the first people to reach that island (which is obviously not the case). 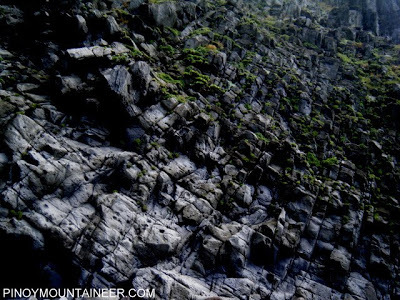 The island has no beach where we could land – and this is also due to the rocks that characterize the entire island. Thus, we had to perform the first challenge before we could even go hiking: to swim for around 50 meters towards the shore, before starting the climb! Considering the furious waves of the open seas, it was quite a challenge indeed…don’t forget to waterproof your stuff! Once you reach the shore, you have time to marvel at the circular rock formations, before starting a steep ascent into some really dense jungle. Abundant are thorns and red ants, as well as other noxious wildlife. Moreover, the rocks on the trail are quite fragile, it could collapse anytime so you have to keep moving! These challenges notwithstanding, the trail offers some rewarding views of Itbayat, and a glimpse at an island that is truly pristine and totally bereft of human activity. 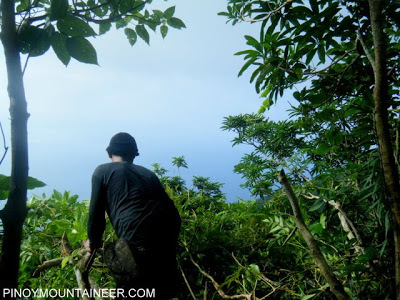 The island has only been climbed a few times and I was fortunate enough to be the first non-Ivatan to climb it. 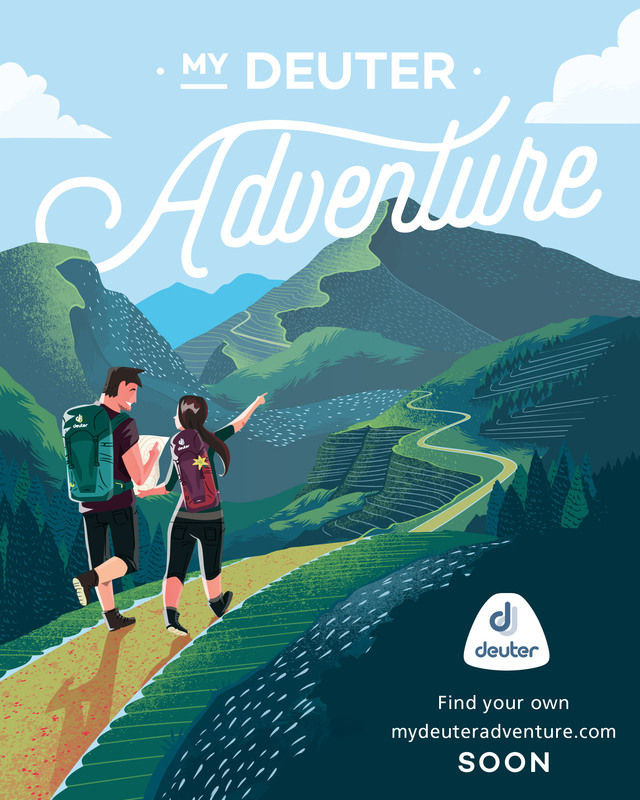 But, as with all unexplored trails, the trail is barely established and part of the length of the climb is due to the need to re-establish the trail, and at times to reroute, detour, and occasionally get lost. 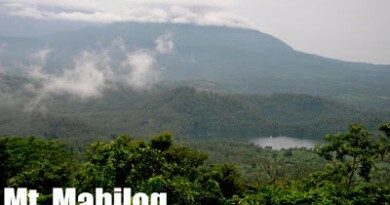 There are no viewpoints at the high points reached (around 400 meters above sea level), only jungle. Nonetheless, it is a great experience just to explore the place. After negotiating the same trail on the way back, the final challenge is to swim back to the boat – and hope that the tides cooperate. 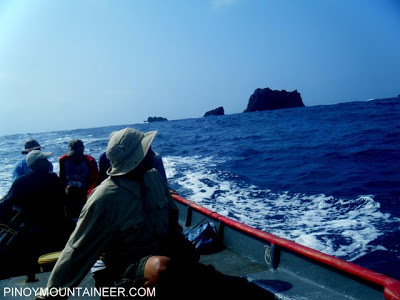 In our case, while we were hiking, the fishermen went fishing, and we had the freshest sashimi aboard the open boat; navigating the open seas at night is no easy task, too, for our boatmen and only until we saw the lighthouse at Basco was I able to breathe a sigh of relief – what day and what an adventure! Dinem Island is a highly recommended and very unique Ivatan experience – it’s a must for those who have climbed Iraya but are asking for more! 0800 Arrival at William’s point. Swim to island. 1500 Back at William’s point. Rest. 1530 Swim back to boat. 1830 Back in Basco. Celebratory dinner. Transportation. To get to Basco, Batanes, one must take a plane from Manila. Within Basco, everything is within walking distance, otherwise there are tricycles. For the boat ride, see logistics below. Logistics. 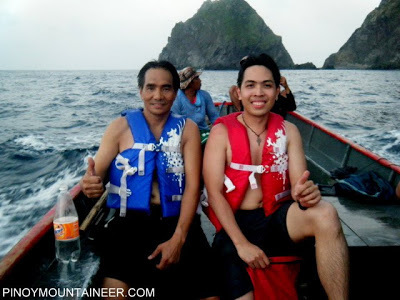 It is very difficult to arrange a boat ride to Dinem, let alone a guide for the mountain-island; I was only able to do so with the help of William Antonio and the Batanes Mountaineers. You can reach them through their Multiply site. I will add more contact information in the future when they become available. Hiking notes. Insect repellent and sunblock are must-brings for this trip, considering the lengthy and open boat ride, as well as the abundance of noxious insects. Also, for the same reasons, wearing long sleeves or rashguards are recommended. A dry, floatable bag would also come in handy during the “swimming part” of this trek. A distant Dinem island as we approached it by boat. Tiny islets at the background; the open boat at the foreground. This picture captures the swimming leg of the adventure. Note the distance between the boat and the shore. Primeval rock formations greeted us as we arrived. One of the viewpoints in the jungle. 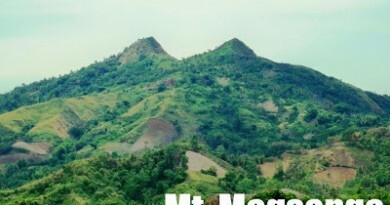 The highest points reach over 400 masl. The return trip, with Dinem at the background. A more personal account of the blogger’s trip to Dinem is narrated in Hiking matters #69, and it was also published in Manila Bulletin in November 2009. 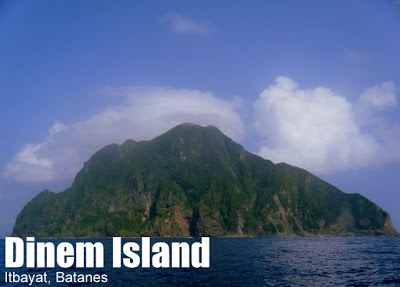 3 Comments on "Dinem Island (405+) in Itbayat, Batanes"
I'm a botanist, and I really need to get to the island to establish if certain species, of which I'm studying, are there on that island. wanna join soon!!!! thanks for this Blog Sir!